Windows crash error - Support - PixelTail Games - Creators of Tower Unite! 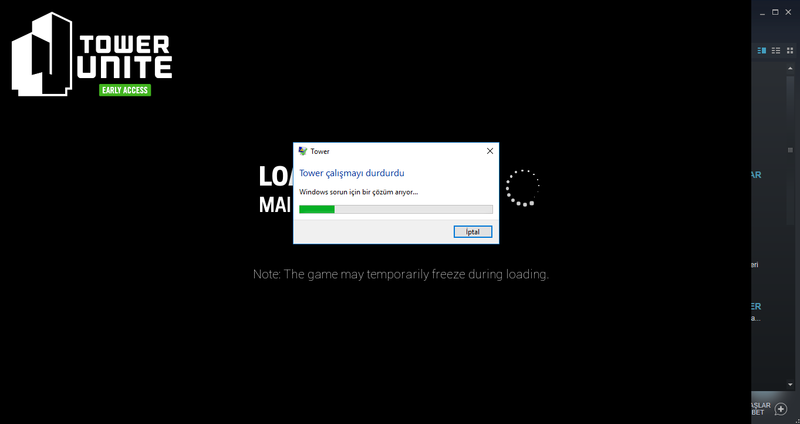 please help me ı take this error and game is closing what should make ? Usually when the game crashes it will make an error report that you can read or send to the developers. I dont understand why crashing? It will normally crash if something goes horribly wrong with the game itself. The reason why it crashed in your case is unknown, you can see why it did if the game has made an error report which you will be able to find in the game folder. Within said folder there should be a file called “Crash Report” or something like that, the report gives you more info on what caused the crash. You can either send the report directly to the developers or upload it to this thread.